WEDNESDAY, Oct. 3, 2018 (HealthDay News) -- If you think your nightly glass of vino is doing good things for your health, think again. 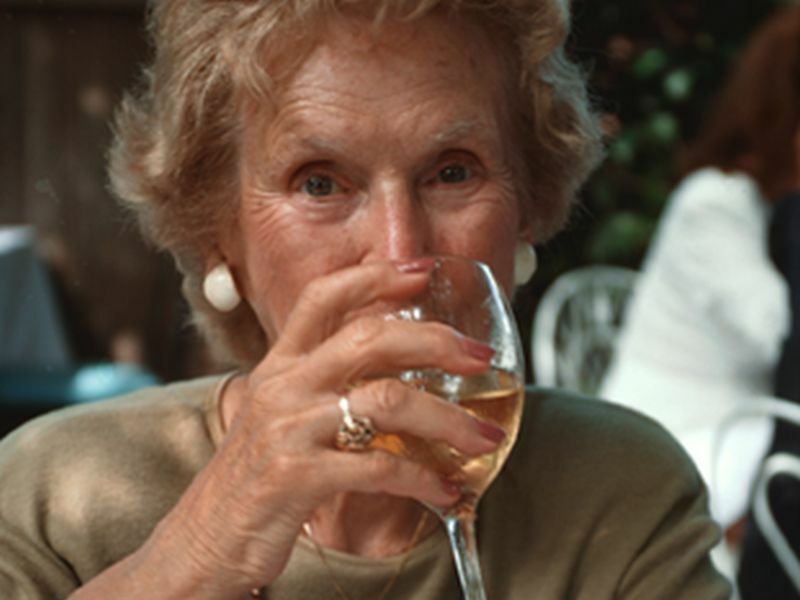 "At any given age, if you drink daily -- even just one or two drinks -- you have a 20 percent increased risk of death compared to someone who drinks the same amount two to three times a week," said study author Dr. Sarah Hartz. She's an assistant professor in the department of psychiatry at Washington University School of Medicine in St. Louis. Hartz noted that how significant a 20 percent increased risk of death is depends on your age. She explained that since very few people die in their 20s, a 20 percent increased risk of premature death is less significant at that age than it would be for someone in their 70s. The study included information from more than 400,000 people. More than 340,000 (aged 18 to 85) had participated in a national health survey. Another group of nearly 94,000 were between the ages of 40 and 60 and had been treated as outpatients at Veterans Health Administration clinics. According to Dr. Guy Mintz, director of cardiovascular health and lipidology at North Shore University Hospital in Manhasset, N.Y., "The jury is still out with regard to frequency and quantity of alcohol use." He pointed out that "one of the study's conclusions was that, as medicine becomes more personalized, some patients with a history of cardiovascular disease may benefit from drinking two or three days a week, but those with a higher risk of cancer may not benefit." The study was published online Oct. 3 in the journal Alcoholism: Clinical and Experimental Research.